Dr. Pete Stavinoha is best known for offering parents a peek inside the brain of their child through the Stress-Free Parent book series and website and numerous media appearances. Named the Psychologist of the Year for 2014 by the Texas Psychological Association, Dr. Pete is the co-author with Sara Au of Stress-Free Discipline: Simple Strategies for Handling Common Behavior Problems (AMACOM, 2015) and Stress-Free Potty Training, 2nd edition (AMACOM, 2016). Stress-Free Discipline turns the entire concept of discipline on its end. Dr. Pete explains the underlying concepts of behavior, linking that information to what is happening in their home at any given moment. He teaches parents the basics of child behavior, offers up 16 Universal Strategies that run the gamut from positive parenting to negative consequences and then explains how and when to best implement these strategies. Readers come away with a toolbox of parenting tactics that they understand, and can pull out for use as a particular situation warrants. 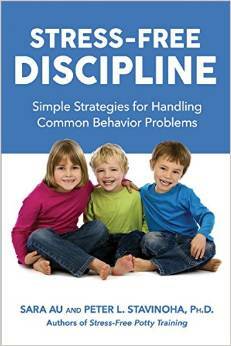 Dr. Pete’s Universal Strategies help parents increase the positive behaviors of their children, and also turn negative behaviors around. The book showcases plenty of examples of real-world situations to empower parents to implement these strategies in their own lives. 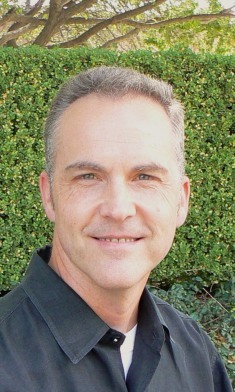 An expert in general parenting, Dr. Pete’s been featured in hundreds of TV appearances, radio interviews and print publications, such as Parents, Parenting, American Baby, Marie Claire, US News & World Report, ABC, NBC and CBS News, as well as PBS, The Hallmark Channel and Kids in the House. Dr. Pete is a Clinical Neuropsychologist in the Center for Pediatric Psychiatry at Children’s Medical Center of Dallas and Professor in Psychiatry at the University of Texas Southwestern Medical Center. He’s a member of the American Psychological Association, the Texas Psychological Association, the International Neuropsychological Society, and the American Academy of Clinical Neuropsychology. A sought-after speaker on parenting, Dr. Stavinoha appears at various conferences, luncheons and special events across the country. He is the father of a college-aged son. For more Stress-Free parenting advice, please visit the Stress-Free Parent website and follow him and his co-author Sara Au on Twitter.